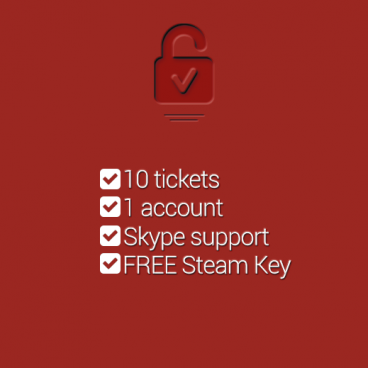 The VIP package is our ultimate package, offering 20 custom-made tickets for up to 2 accounts, priority, Skype support, and a FREE random Steam key! The name says it all, no? VIP is designed to suit all needs, regardless of ban reason. 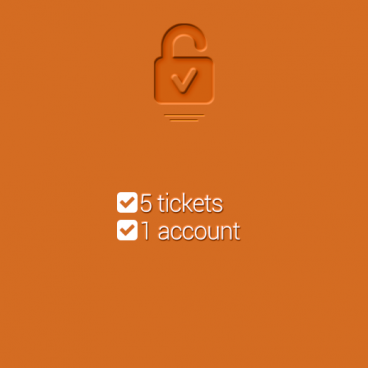 You’ll receive faster support, both in terms of tickets and questions you might have, and will receive priority over any other Fiver or Hotshot customer, as we’ll move you in front of the queue line, having a different queue of only VIP customers. The VIP package is designed to get you back into the game as fast as possible so you don’t miss any raids or events you might want to attend, when the ban is preventing you from doing so. The only downtime you might experience is merely the time it will take the game’s Customer Support to get back to you, as well as the time you might take to forward us the reply they’ve given you. Once you request your next ticket, we’ll get on top of it right away. Overall, the VIP package is by far the most advantageous package, since it contains pretty much everything a customer could wish: top of the queue priority and 20 letters, which should be more than enough to make or break any case! The tickets can be used at any point, regardless of how much time has passed. You will receive the Steam key with your first ticket that will send you.